​Now you may be thinking – how many spark plugs are supposed to be found in my V8 engine? At first, this may seem like a simple question, that has an easy answer, but we assure, that is far from the truth. Unfortunately, the short answer is, essentially, that it really depends on a number of factors. Above all, this number depends mostly, and above all, on your car model, the brand, and manufacturer. We can, however, boil this down to two elements: does your car engine have twin-spark systems or a dual-ignition type of technology, or is it a standard engine? ​I have a twin-spark engine, what now? 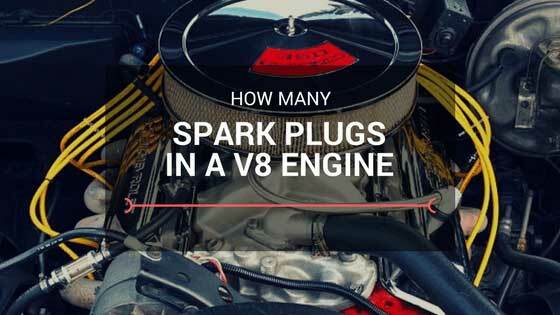 ​There is a very simple way to find out just how many spark plugs you actually need. Simply calculate based on the number of cylinders your engine has. So, for example, if your car has a V8 engine (i.e. has 8 cylinders), then you will need 16 spark plugs. On the other hand, if you have a standard engine, that 1 spark plug per cylinder is enough. Having a twin spark engine is very useful since this means that each cylinder on your car has two spark plugs. This, in turn, means that you get double the number of spark plugs per cylinder. But also, your car engine is much more efficient and will last longer. These produce a cleaner and more efficient burn, but are also more expensive, since the design and manufacture process is more complicated. Maintenance can also be quite costly. First, let’s talk a little about the spark plugs themselves. A spark plug has, essentially, two functions. First, it delivers the spark needed to ignite the fuel in the engines combustion chamber. Second, they transfer and absorb the heat that comes from the combustion chamber. Now, on to the steps required to replace one of these bad boys. 1. Preparation - First of all, you need to let your engine cool down before you start any of this. All the parts, the engine, the spark plugs, they can be very, very hot. Basically, wait a while until you the engine becomes cool to the touch. Also, this is a good opportunity to get all the tools you will need for the “operation”. First, you should get an extension bar, as well as a solid ratchet socket drive wrench. Also, you will need a spark plug socket, and spark gap gauge. 2. Location -Second, find the location of the spark plug in your car. When you look under the hood of your vehicle, you will see around 8 wires (for your V8), that all lead to different points in your engine. The spark plugs are under the plug covers that are a part of them, near the engine end. Now, for your V8, you should see plugs that are separated and are evenly distributed on both sides of your engine. However, we advise you to always check with your cars user manual when attempting any of this, since it will definitely help a lot, and will probably have illustrations that are a godsend for any inexperienced would-be mechanic. Also, if you aren’t sure if a spark plug needs replacing, simply take out one and look at the contacts found at the gap. If the contacts are burnt out and charred then you know what to do. 3. Removal - Now that everything is ready and you know where the spark plugs are, it’s time to remove one. Find the wire plug that is connected to the engine. Then pull it gently and slowly, and be as careful as possible. This will help you get the spark plug out. However, if you yank too hard and actually tear out the wire, you will ruin everything and will need to pay a lot more for repairs than you expected. Use your socket wrench and the extension bar so that you can do this easily and without causing any damage. Also, remember one very important point – the order of the spark plugs. All of the fire in a certain order and rhythm and if you mix them up you can damage your engine, or make it simply not work. Essentially find a way to mark and label them, like placing them in a cardboard box with cut out slots and sections (be creative). 1. Preparation II - The first phase is done, and you actually need to replace one. So, first of all, you need to measure the gap of your spark plugs. While you can measure this on your own, with a measuring tape, we strongly suggest that you a) consult your manual and b) get a fine gap checker from the hardware store. Also, under no circumstance should you try to force a spark plug on your engine, or just leave a wobbly and small one inside. The results can be quite horrible. Also, this is a good opportunity to check the rest of your spark plugs, just so you can have a heads up for the future. Essentially, if there are soot and char around your spark plug, you should definitely change it. This also goes for any electrodes that went missing from your car, or if you see some kind of white build up being discharged. 2. Choosing the right spark plug - Here you need to consult your manual or be very precise in your measuring. Don’t try to cram the wrong one into your car just because you bought it and don’t want to waste money – the long term damage can be higher by magnitudes than what a spark plug costs. Also, don’t downgrade in quality and material when you replace them. 3. Insertion - Just take the spark plug you want, place it in its correct socket and tighten the spark plug with your wrench slightly. Don’t push too hard or you may damage your car. ​Well, that’s all folks. There really isn’t much more to all this stuff, and we hope this article was informative.